Vicki and Alex during the exercise project. Using a living laboratory has helped South Australian companies reconsider their approach to research, development and innovation. 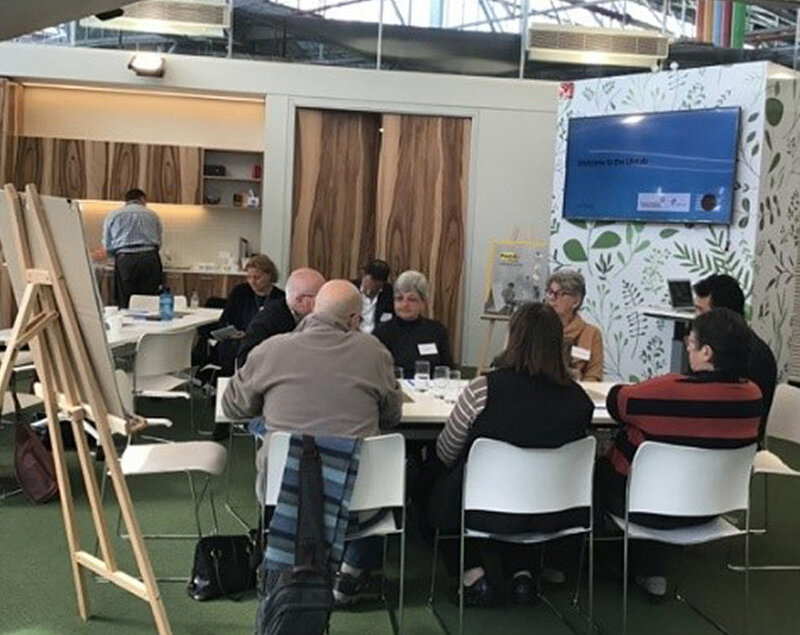 Potatoes SA and Prohab were at the centre of two pilot projects run at LifeLab, the living laboratory division of the Global Centre for Modern Ageing. Both pilot projects explored entrepreneurial products to support older people to remain active and healthy; and to continue doing the things they enjoy. The first project looked at nutritious food and the second explored attitudes of older people to exercise. The companies reflected that the co-design process used at LifeLab was a new way of user testing compared with more traditional methods they have employed in the past. They appreciated hearing first hand from end users about their needs, wants and aspirations. At times they found it challenging – but ultimately rewarding – to sit back and listen, rather than direct the conversation. Both companies have subsequently altered their approaches going forward and will take their products into real life community settings for further trials. The companies were pleased to share publicly some of the insights they gained in working with the Global Centre for Modern Ageing. The first pilot was part of a two-year collaborative project between Potatoes SA, the University of Adelaide and several food companies to develop new nutrient-enriched food products using potato puree as the base ingredient. The foods support healthy and active ageing. As well as evaluating whether the foods were fit for purpose, insights gained included a better appreciation of intangible qualities such as enjoyment, nostalgia and civic responsibility about waste reduction. The second pilot used an exercise and strength-testing device invented by technology company Prohab. The device – initially developed with a focus on the elite athlete market – measures and feeds back effort and performance to the user in real-time. These insights will help Prohab adapt the device for use by older people and communicate the benefits to users and clinicians. Co-designer Vicki Jarnis hadn’t really known what LifeLab was about when she agreed to take part in the Prohab project. But she speculated it was basically a market research exercise. “The result was that it was much, much more than that,” she said.